A popular phrase in my house during this time is "Babe, What do you want for Christmas?" 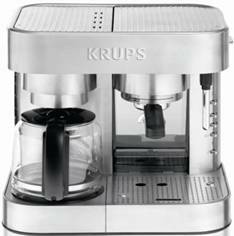 I have to say that the KRUPS XP6040 Coffee and Expresso Machine may be one of the answers. I love coffee and now that we have a day of cold today in Florida, (brace yourself...it is 56 degrees today) its time to start decking the halls for the holiday season. This holiday season, KRUPS, worldwide leader in kitchen appliances, has provided me with some fabulous recipes to share. These are simple recipes that will make you the most generous host!! Brew coffee in Krup XP1500 Coffee and Espresso Machine. 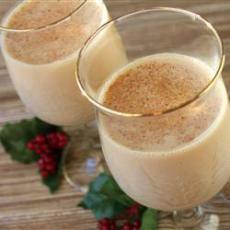 Warm eggnog in a pot over low heat and add the hot coffee and nutmeg. Serve immediately. Garnish with nutmeg. In a coffee mug, brew the espresso coffee. 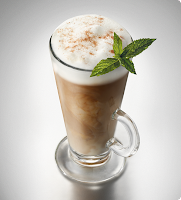 Add the peppermint extract and then pour in steamed milk and frothed milk. Top with whipped cream and chocolate shavings. 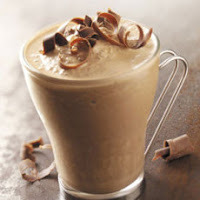 Blend coffee, ice cream and crushed hazelnuts in a blender until mixture becomes a smooth but thick consistency. Pour into a coffee mug and top with whipped cream and sprinkle toffee pieces (or chocolate shavings). • Designed in Switzerland; 19 bar pump made in Italy.